Byron Bay, affordable accommodation, Gold Coast hinterland, cheap places to stay under $150 per night, in the Northern Rivers region of New South Wales, NSW, and south east Queensland, QLD Australia, including Ballina and Murwillumbah. Affordable places to stay from $80 - $150 per night, in the Ballina, Byron Bay, Tweed Valley, Gold Coast hinterland region of New South Wales and Queensland, Australia. Overnight and weekend getaways, weekly and medium term, plus longer stay affordable accommodation for budget conscious travellers is available throughout the region. Lodgings range from backpacker hostels and budget cabins, through to B&Bs, motels, pubs and self contained holiday units for under $150 per night for that cheap romantic getaway. Hosanna offers a range of affordable accommodation options including comfortable cabins, "safari huts" to suit families, couples and singles, and a primitive camping ground. Facilities include communal lounge, kitchen and dining area, laundry, internet access, and a wood fired sauna next to our swimming and kayaking dam. And we're dog friendly! From AUD $12 pp camping to $150 for cabins Day visitors welcome - $. Featuring recycled timbers and comfy retro style furnishings, it's fully self-contained with a kitchenette and queen bed, with ceiling fans, electric heater, an outdoor deck, and a garden area. Bed and bath linen is provided, along with a complimentary "Welcome Hamper" filled with breakfast goodies. From $95 pn, 2 night min. Located in a quiet leafy street in Ballina town centre, Ballina Travellers Lodge features an outdoor swimming pool and free Wi-Fi. 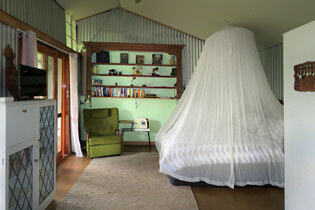 Rooms include ceiling fans, flat-screen TV and tea/coffee making facilities. Most rooms have pool views, air conditioning and a private bathroom. Free off-street car parking, shared kitchen, guest lounge, laundry and barbecue facilities available. Accommodation on acreage just 2 minutes' drive from South Ballina Beach and Richmond River Nature Reserve. All rooms equipped with a flat-screen TV, a small refrigerator, tea/coffee making facilities and private bathroom with shower. Communal BBQ facilities, bikes and a kayak available. Free private parking, WiFi and home-cooked meals also available. A short walk to Kirra Beach and Gold Coast Airport, with bus stops just outside the motel, all rooms include kitchenette facilities, private en suite bathroom, TV and tea/coffee making facilities. Most rooms are air-conditioned. Free Wi-Fi, a BBQ area and covered off-street parking available. Set on 2 hectares (5 acres) of subtropical forest, accommodation includes teepees, mixed dorms and private rooms. Guest facilities include outdoor swimming pool and hot tub, cinema, Buddha Gardens Day Spa, workshops, yoga classes, sunrise tours and more. Enjoy evening entertainment, food and drink at the Buddha Bar Restaurant and beer garden, or prepare meals in the communal kitchen. 10 minutes walk to beach and Byron town centre. Motel and guest house rooms just 14 minutes walk to the beach. Motel rooms have a DVD player, tea/coffee making facilities and private bathroom with a shower. Guest house rooms have private ensuite bathroom, air-con and flat-screen TV, with shared common areas including a kitchen, lounge, dining and outdoor dining area & BBQ facilities, surrounded by lovely gardens. Free Wi-Fi and free on-site parking available. A 5-minute walk from the Casino Town Centre. Air-conditioned guest rooms have tea/coffee making facilities and a flat-screen TV with satellite channels. Facilities include an outdoor pool, barbecue facilities and Wi-Fi access. Guest laundry service available. Free on-site parking available for cars, trailers, coaches and trucks. The Green House Licensed Restaurant serves local dishes, salads and desserts, and breakfast is available to rooms. Opposite the Tweed River, every room at this small motel is air conditioned and has a flat-screen TV. Some units have a seating area for your convenience, and some rooms feature mountain or pool views. Extras include free WiFi, free toiletries, free private on site parking. Overlooking Greenmount Beach, choose from a selection of open-plan air-conditioned studio accommodation and self-contained 1-bedroom apartments, with a mini refrigerator, tea/coffee making facilities and a toaster. Rooftop terrace with ocean views. 3-minute walk to shops, restaurants and bars of Coolangatta. Twin Towns Services Club is directly across the road. Featuring 2 seasonal outdoor pools, playground and sheltered barbecue areas, the air-conditioned chalets and cabins come with a lounge, en suite bathroom, dining area and fully equipped kitchen. Communal lounge with a small library and internet access, on-site kiosk, laundry services, and free parking provided. Hotel rooms offer access to shared bathroom facilities. Tour desk available for national park tours, river rainforest cruises and fishing trips. Guests receive discounts at nearby restaurants. Secluded accommodation 15 minutes drive from Murwillumbah, offering cabins with a private bathroom and dormitory style rooms with communal separate male and female bathrooms. Included meals are vegetarian and served in the temple hall. 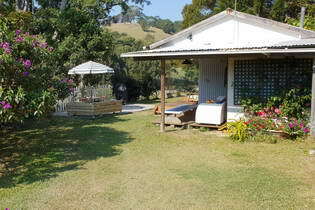 Shared facilities include a communal kitchen, guest lounge, laundry and wrap around verandahs. Situated on the Nerang River, choose from family studios, single, double, queen and king suites, all with air conditioning and private bathrooms. A range of facilities and entertainment areas including a restaurant and bistro, a lounge bar and sports bars, kids club and a children's playground. Warner Brothers Movie World and Dreamworld are just 10 minutes drive away. Just 5 minutes drive to Ocean Shores Golf Club, all accommodation has access to a shared patio area with pool or garden views. Rooms include a flat-screen TV with cable, a microwave, tea/coffee making facilities and en-suite bathroom. Breakfast delivered to your room for a small additional charge. Wi-Fi and airport shuttle on request. Tour desk for golf group bookings and more. 3 minutes drive to Pottsville Beach, tariff includes a full buffet breakfast, WiFi and free parking. Rooms have air conditioning, flat-screen TV, linen and tea and coffee making facilities. All rooms put a focus on elegance and luxury. One room features a large double spa bath, twin showers and vanities, large walk-in robe and a balcony with mountain views.